Many people feel sluggish, lethargic or fatigued later on in the day, especially in the winter. A lot of the time, this can be down to their diet and food choices. This article will outline several foods, and types of foods, that you should try and cut down – slowly if needed – if you don’t want to be susceptible to that afternoon comedown! Highly processed foods can be one of the big culprits for your fatigue throughout the day. 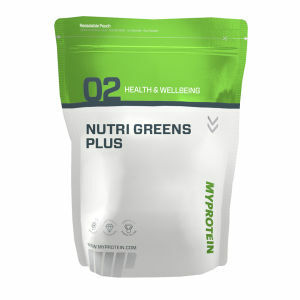 Not only do they offer practically nothing nutritionally, they don’t give you the energy that you require to function throughout an entire day. Processed foods are packed with refined sugar, flour and salt. This means that although they may taste nice and are very moreish, they can be awfully bad for you. The high quantities of these ingredients in these foods are added so that they can have a longer shelf life, but they do no good to our bodies. ✓ When we eat processed foods, our bodies struggle to digest them. This is because we try to get every scrap of nutritional value from these foods and in the process; this can make us feel sluggish, since energy is being used in order to break them down. ✓ Excessive consumption of processed foods can lead to health problems, such as constipation or weight gain. 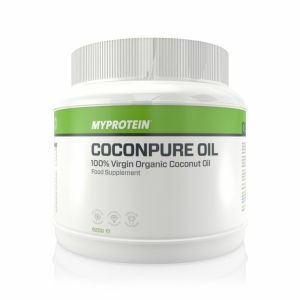 This will only make you feel more sluggish, lethargic and worse off overall! Although we all love gorging on products with a high fat content, like dairy, pizza, chocolate and baked goods, consuming these foods is really doing us no favours. We all know, deep down, that these foods are highly unhealthy and, as with the previous food type, can lead to weight gain. This alone is enough to make you feel sluggish and tired. Since they have a high fat content, our bodies struggle to break them down. This is because fat is the most calorific of the macronutrients, with 9 calories per gram compared to 4 calories per gram with carbohydrates and protein. More energy is needed for the digestion process, leaving you with less energy to function throughout the day. This can lead to fatigue. ✓ A good way to reduce your fat intake is by switching to low fat options. 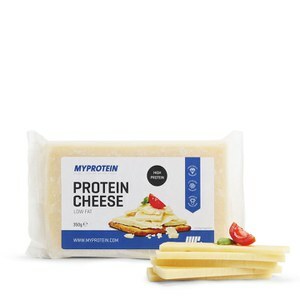 For example, try some of our high protein cheese, which contains only 2g of fat per 100g, compared to 33g in the average supermarket cheddar! …Simple swaps like this will improve your health and overall energy levels! When we consume foods which are high in sugar, our blood sugar levels will naturally spike. As a result, insulin from the pancreas is pumped into the bloodstream. At first, this can lead to a short burst of energy, leaving you feeling good. However, insulin will quickly lower your blood sugar, leaving you feeling tired. This is known as a ‘crash’. What’s more, insulin is a very powerful hormone which can signal your body to store fat for energy, which can lead to weight gain. Moreover, as we all know, excess sugar consumption can lead to us piling on the pounds, so it’s best to avoid foods which are high in sugar to ensure we are as healthy as possible and can maintain strong energy levels throughout the day. ✓ Try and eat complex carbohydrates as often as possible throughout the day, to help curb your cravings and give you sustained energy. Simple carbohydrates, also known as simple sugars, are also bad for your energy levels. These foods have high glycaemic indexes, which mean they raise your blood sugar levels more quickly. As with the previous example, this can lead to a ‘crash’, meaning you will be left with less energy than you began with. ✓ White bread, pasta (made from refined flour), sweets, baked goods and some cereals. These foods are fairly easy to avoid, and can be swapped out for their wholegrain equivalents which have a lower glycaemic index. ✓ They will keep you fuller for longer and won’t give you the ‘crash’. Whilst we know that consuming too much alcohol is generally bad for your health, it can also be bad for your energy levels too. 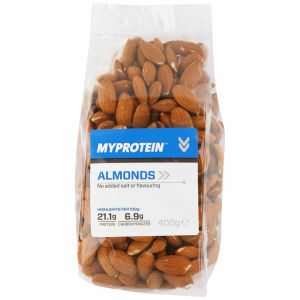 Whilst it isn’t strictly a ‘food’, it is a staple in the diets of most people with many consuming it on a daily basis. Alcohol is a depressant, which means that it will naturally make you feel more tired. This is because it slows down the rate at which neurotransmitters are produced, so nerve impulses take longer to reach the brain. As a result, you will feel more sluggish, lethargic and fatigued. ✓ Alcohol can have a longer lasting effect on your energy levels. When you drink alcohol, especially before you go to sleep, it can hinder the quality of rest you get. Whilst it helps you to get to sleep quicker, alcohol interferes with the body’s chemical processes which are required for a good night’s sleep. This is why you will often wake up feeling deprived, especially after a night out. ✓ To prevent this, you should try to cut down on the booze. We all like to treat ourselves once in a while, but it shouldn’t be a daily thing. You’ll notice a big difference in your energy levels if you take a few days off drinking and you’ll feel better for it! Whilst these foods can contribute to you feeling tired or sluggish, they aren’t the only reason for you feeling that way. It is essential that you get a good night’s sleep, at least 8 hours, every night. This way you will wake up feeling refreshed and ready to tackle the day ahead of you. I would highly recommend slowly cutting down on the food types mentioned in this article. Try it for a week and see how different you feel!